The parade of Windows 8 devices continues this week with Hewlett-Packard’s introduction of three new consumer notebooks: The HP Envy x2, the HP Spectre XT TouchSmart Ultrabook and the HP Envy TouchSmart Ultrabook 4. Due out this holiday season, they are the first products announced by HP to run Microsoft’s latest operating system, and all feature multitouch screens and ultraportable designs. It’s a tablet! It’s a notebook! It’s both! 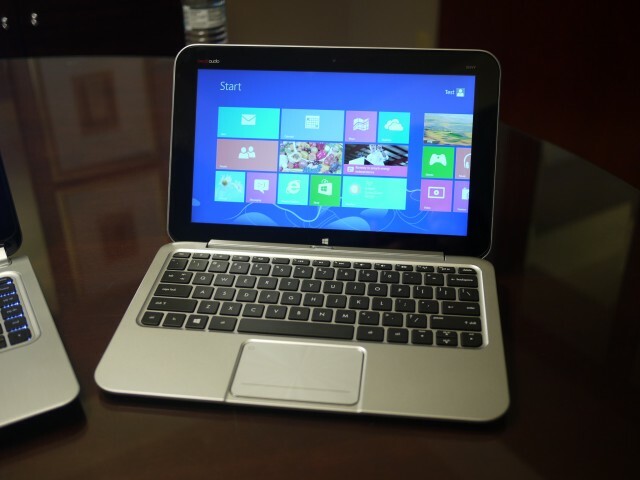 Dubbed a “hybrid PC” by HP, the Envy x2 consists of a tablet with an 11.6-inch display and an attachable keyboard. The keyboard has a magnetic hinge that keeps the tablet in place when you want to use it as a notebook, and weighs about 3.1 pounds. When you want to switch to just the tablet, you can press a button on top of the keyboard to remove it from the hinge. The 11.6-inch touchscreen allows users to more easily navigate the Windows 8 touch-friendly interface and uses technology called In-Plane Switching (IPS) to provide wider viewing angles than standard displays. Above the display is an HD Webcam; on back, there is an eight-megapixel camera. The Envy x2 uses solid-state memory to provide faster start-up times, and includes Near Field Communication technology (NFC), which will allow users to share content like contacts and photos with other NFC-enabled devices, such as smartphones, with a simple tap. 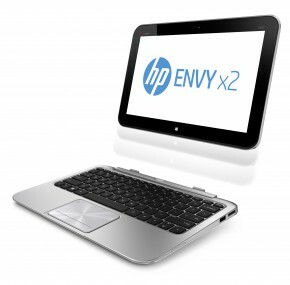 HP did not announce pricing or a specific release date for the Envy x2 at this time. I had a chance to check out the Envy x2 briefly last week, and I have mixed feelings about the device. On the one hand, I’m all about reducing the number of gadgets I carry around with me, and the Envy x2 certainly does that. Although, to be fair, HP isn’t the first to come up with this design. Companies like Asus have come out with similar products for their Android tablets, but the Envy x2 feels a bit more substantial — like a real notebook — and has a roomier keyboard layout. That said, an 11-inch tablet is too big for my taste. The larger screen has its benefits, but it’s not something I’d feel comfortable holding while trying to read the news or browse the Web. The Spectre XT TouchSmart is a premium notebook with a starting price of $1,400. For the money, you get a 15.6-inch multitouch HD display with IPS technology and edge-to-edge glass, as well as an all-metal design. HP added a soft-touch finish on the bottom to make it less slippery and easier to grip; in terms of size, it measures 0.7-inch thick and weighs 4.77 pounds. 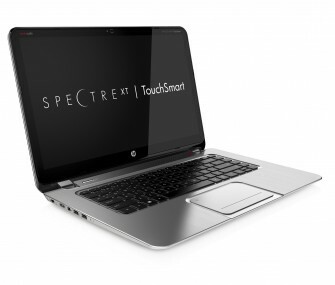 The Spectre XT TouchSmart is HP’s first notebook to feature Intel’s Thunderbolt port, which allows you to transfer music, photos, movies and other files from your computer to external devices at a faster rate. In addition to Thunderbolt, it comes with an Ethernet jack, USB 3.0 and HDMI ports. The Spectre XT TouchSmart Ultrabook will be available in December. Coming in at 0.9-inch thick and 4.77 pounds, the Envy TouchSmart Ultrabook 4 offers a 14-inch multitouch screen and a backlit keyboard. It’s powered by Intel’s latest Ivy Bridge processors and can also be configured with an AMD graphics card. The notebook includes Beats Audio technology for enhanced sound, and promises up to eight hours of battery life. 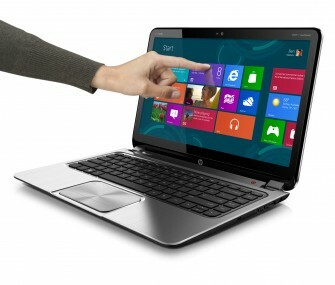 HP said pricing for the Envy TouchSmart Ultrabook 4 will be revealed at a later date.